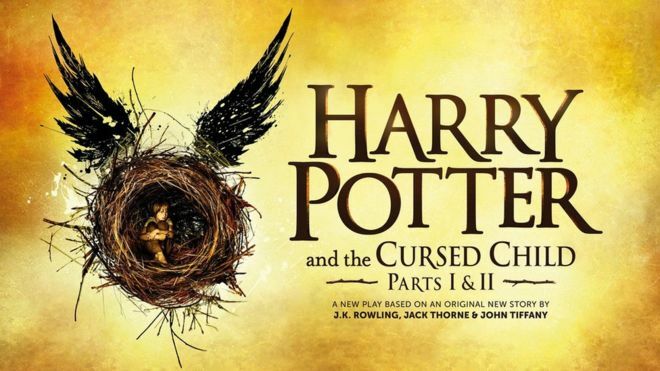 JIM FISH has joined the cast of HARRY POTTER AND THE CURSED CHILD at the PALACE THEATRE. THEO BOYCE is joining the all-star cast of ALL MY SONS at THE OLD VIC, directed by JEREMY HERRIN. JAMILA WINGETT has filmed the TV series DEPARTURE. DAVID KEYES has recently shot the feature film SHORTCUT and the Sky TV Series TEMPLE. EMMA WEST has recently completed shooting the feature film DOPPELGANGER. MARCUS HUTTON is currently shooting ST MAUD, a psychological horror film written and directed by ROSE GLASS. The Film4/BFI funded feature also stars JENNIFER EHLE and is due for release next year. CLEO SYLVESTRE is currently filming SWEETNESS IN THE BELLY, a feature film starring DAKOTA FANNING and adapted from the bestselling novel by CAMILLA GIBB. Release is planned for next year. FINLAY PAUL has joined the successful West End production of THE COMEDY ABOUT A BANK ROBBERY, currently running at the CRITERION THEATRE. CRAIG TALBOT and STEPHANIE BOOTY will be regulars again in the second series of ON ORDER AND AWAY for AMAZON PRIME. JASMIN HINDS has joined the cast of Tennessee Williams' SUMMER AND SMOKE at the DUKE OF YORK'S THEATRE. Directed by REBECCA FRECKNALL, this transfer from the ALMEIDA runs until 19th January. IAN KIRKBY has been cast in CINDERELLA, which runs from 6th December to 6th January at THE ALBAN ARENA in St Albans. MAIRI HAWTHORN is about to open playing the lead role in JEANNIE by AIMEE STUART. This is the first professional production of the play for 80 years and it runs at the FINBOROUGH THEATRE from 27th November to 22nd December. TOM WHITELOCK has been cast in the STANTONBURY THEATRE production of RED RIDING HOOD VERSUS THE WOLF which runs from 8th to 31st December. JOE HARDY will be putting his multi-talented acting and musical skills to good use this December in A CHRISTMAS CAROL at the FOLKESTONE QUARTERHOUSE. The production runs from 14th to 24th December. SHAUN JENKINSON can currently be seen in THE KNEEBONE CADILLAC by CARL GROSE. The comedy, directed by SIMON STOKES, runs at the THEATRE ROYAL PLYMOUTH until next month. HARRY HANCOCK in joining THE POLAR EXPRESS in Dereham, Norfolk, for a site-specific performances in December. ANTONIA SALIB has just finished a run in the two-hander BLACK ICE by ATLANTA GREEN at THEATRE 503. JOE EYRE and JOSH FISH were both invited to perform in this year's SONNET WALKS at the GLOBE THEATRE. JIM FISH has recently been seen in the DEAFINITELY THEATRE production of SARAH KANE's last play 4.48 PSYCHOSIS at the NEW DIORAMA THEATRE. TOM WHITELOCK starts rehearsals in October for the CERVANTES THEATRE production of YERMA by LORCA. Opening on 29th October, the play runs to 1st December. RUSSELL BOULTER has just finished shooting his role as THE KING'S PORTRAIT ARTIST in THE SPANISH PRINCESS, a mini-series for STARZ, sequel to THE WHITE PRINCESS and adapted from the books about Catherine of Aragon by Philippa Gregory. CHRIS LEVENS joins the cast again for the UK tour of THE WIPERS TIMES, playing DODD. EMILIA WILLIAMS, who played KATE in the hugely successful run of THE WIPERS TIMES at the ARTS THEATRE last year, reprises the same role on tour. SUSAN STANLEY has been cast in the lead role in EVERY DAY I MAKE GREATNESS HAPPEN by RICHARD MOLLOY. Directed by ALICE HAMILTON, the play runs downstairs at THE HAMPSTEAD THEATRE from 13th September to 20th October. MARCUS HUTTON was seen earlier this year in DIAL M FOR MURDER at the DEVONSHIRE PARK THEATRE in Eastbourne. CHRISTOPHER ADAMS will be appearing as FAGIN in the SH*T-FACED SHOWTIME production of OLIVER in Edinburgh and the LEICESTER SQUARE THEATRE. PHILIP COX will be appearing this month in the revival of Jeff Clarke's production of Donizetti's THE DAUGHTER OF THE REGIMENT at the BUXTON OPERA HOUSE and WILTON'S MUSIC HALL. BETH COLLINS will soon be appearing in DARK IN THE WATER, written and directed by ALLIX JAMES. The play runs at THE WHITE BEAR THEATRE from 31st July to 4th August. MAIRI HAWTHORN is currently filming an episode of GAME OF THRONES. More details later. CLEO SYLVESTRE has been cast in the World Premiere production of ALAN BENNETT's latest play, ALLELUJAH. Directed by SIR NICHOLAS HYTNER and with music by GEORGE FENTON, the production runs at THE BRIDGE THEATRE from 11th July to 28th September. JAKE BURGUM is off to the ENGLISH THEATRE OF FRANKFURT to appear as SHERLOCK HOLMES in THE HOUND OF THE BASKERVILLES. JOE EYRE is joining the cast of SKIN A CAT for a UK tour directed by BLYTHE STEWART. EVE WEBSTER has voiced a number of characters in the forthcoming SHERLOCK GNOMES, directed by JOHN STEVENSON. EVA FEILER is currently rehearsing the role of PUCK in A MIDSUMMER NIGHT'S DREAM at THE WATERMILL THEATRE in Newbury. Directed by PAUL HART, the production runs from 10th May to 16th June. Based on the reality of Mussolini�s persecution of homosexuals, SAN DOMINO is the story of men sentenced to five years confinement for degeneracy. Directed by MATTHEW GOULD, the play runs from 5-30 June. CLEO SYLVESTRE recently finished a run in GENERATIONS by DEBBIE TUCKER GREEN at the MINERVA THEATRE in Chichester. MAIRI HAWTHORN has been cast as one of the WITCHES in the STAFFORD FESTIVAL production of MACBETH, directed by CLARE PRENTON. The play runs from 28th June to 14th July. SYDNEY K SMITH has been cast as TOUCHSTONE in the SHAKESPEARE IN THE SQUARES production of AS YOU LIKE IT, to be performed in London in July. ASHRAF EJJBAIR is currently rehearsing for HANDLOOMS by RANI MOORTHY, directed by ALAN LANE. The play opens in Manchester on 12th March and runs to the 24th before transferring to Leicester. FEARON McELROY has been cast in the European Premiere of FACELESS by American playwright SELINA FILLINGER. The play, inspired by a court case in the USA, runs 17th April to 12th May at THE PARK THEATRE. MARCUS HUTTON has joined the cast of THIS HOUSE, the NATIONAL THEATRE and CHICHESTER FESTIVAL THEATRE production, which is going on a UK tour from 23rd Feb to 2nd June. Written by JAMES GRAHAM and directed by JEREMY HERRIN, the play has already enjoyed successful runs at both the RNT and in the West End. Following his successful run in UNCLE VANYA, the multi-talented JOE HARDY has joined the cast of THE CHERRY ORCHARD, a joint production between the BRISTOL OLD VIC and MANCHESTER ROYAL EXCHANGE. He is also composing the music for the show, which opens in Bristol on 1st March before transferring to Manchester. MELANIE McHUGH is joining a new UK tour of HERE I BELONG, written by MATT HARTLEY. The PENTABUS THEATRE production opens 7th March. TOM SYMS has joined the production of CAPTAIN FLINN AND THE PIRATE DINOSAURS 2. The play, directed by HAL CHAMBERS for LES PETITS, will tour the UK from 10th Feb to 15th April. JOE EYRE takes the lead role of SANDOR in the World Premier production of GALLOWGLASS, adapted from the Barbara Vine novel by MARGARET MAY HOBBS and directed by MICHAEL LUNNEY. The UK tour runs from 18th January to 5th May. 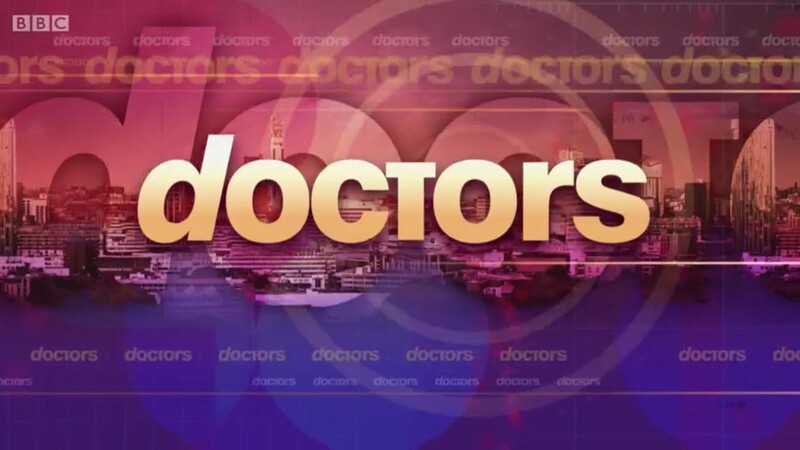 JIM FISH has just shot an episode of DOCTORS - transmission date to follow later. HANNAH GENESIUS has recently recorded the BBC Radio 3 play THE DARK TOWER as part of the Benjamin Britten weekend. SHEYI AKINDELE is currently recording the new JED MERCURIO series BODYGUARD for BBC1. JAMIE RICHARDS recently reprised the role of DAVID in HASHTAG LIGHTIE at the ARCOLA THEATRE. The wonderful RHYS ISAAC-JONES has been cast as the aristocratic BENTLEY SUMMERHAYS in MISALLIANCE, an early comedy by GEORGE BERNARD SHAW, opening in December at THE ORANGE TREE. Directed by PAUL MILLER, the production runs from 7th December to 20th January. We're delighted to announce that RBM Young Actor, LOUIS DAVISON, has been cast as GEOFFREY CHARLES in POLDARK. He's currently shooting the new series and we can't wait to see him in action! The lovely ELINOR LAWLESS enjoyed a wonderful run playing the lead in THE END OF HOPE by DAVID IRELAND at the ORANGE TREE THEATRE. The play, directed by MAX ELTON, is now transferring to THE SOHO THEATRE, opening on 10th October and running to 11th November. We wish her well. PHILIP COX has been cast as THE FATHER in ROMANTICS ANONYMOUS, a new musical, adapted and directed by EMMA RICE. It runs at THE GLOBE from 20th October to 6th January. New graduate JAKE BURGUM is joining the cast of VENUS IN FUR, directed by PATRICK MARBER, which runs at the THEATRE ROYAL HAYMARKET from 6th October to 9th December. EVA FEILER has been cast at BASIL in an all-female production of THE PICTURE OF DORIAN GRAY, directed by OWEN HORSLEY, which runs at THE WATERMILL THEATRE in Newbury, opening on 18th September. CASSANDRA BOND is to appear in I WON'T MAKE IT ON MY OWN, directed by CHLOE MASHITER, at the NUFFIELD THEATRE in Southampton. MICHAEL CHADWICK is currently shooting in MIKE LEIGH's new film PETERLOO, about the infamous massacre. RICHARD HUW is currently filming CALL THE MIDWIFE, playing DR GRESWELL. JACOB COLEMAN has joined the cast of WINDOWS at THE FINBOROUGH THEATRE, playing BLUNTER. It's the first professional UK production of John Galsworthy's comedy for 85 years. The production opens on 22nd August and runs to 9th September. JOE EYRE is currently playing THE DUKE OF BUCKINGHAM in the ANTIC DISPOSITION tour of RICHARD III, which takes in Leicester Cathedral, where Richard is buried. As well as the tour of the nation's cathedrals from 14-28 July, the production takes up residence in THE TEMPLE CHURCH in London from 22nd August to 9th September. SIOBHAN O'CARROLL is currently recording an episode of ENDEAVOUR for ITV1. MARCUS HUTTON is currently on tour in the TALKING SCARLET production of BODY DOUBLE. SUSAN STANLEY is to reprise her role in ALLIGATORS at the HAMPSTEAD THEATRE over the summer. RICHARD HUW will feature in the first episode of the new series of MOVING ON for the BBC. TOM SYMS is soon to join the cast of ALICE'S ADVENTURES UNDERGROUND at The Vaults, near Waterloo Station. SUSAN STANLEY is soon to film an episode of FAIR CITY for RTE. Both HANNAH GENESIUS and KATE COPELAND are to join the cast of EMMA on a UK tour. After much success in PETER PAN GOES WRONG, Mischief Theatre have asked SYDNEY K SMITH to join the cast of THE PLAY THAT GOES WRONG in the West End playing DENNIS. We wish him well! JIM FISH has joined the cast of the KRAZY KAT production of OLIVER IN THE OVERWORLD, the first ever musical created from scratch with sign language. The musical will tour the UK in April and May. JOSEPH HARDY has joined the cast of the PAPER BALLOON production of THE BOY AND THE MERMAID on a national tour. Multi-talented JOE EYRE has written a dark and edgy black comedy, CROCODILE, which is being launched at the VAULT FESTIVAL from 1st to 5th February. Joe is also acting in the play, directed by MATTHEW MALTBY, which can be seen at THE VAULTS near Waterloo Station. The multi-talented JOSEPH HARDY has joined the STEPHEN JOSEPH THEATRE production of PINOCCHIO for the festive season, playing PAOLO. TOM WHITELOCK has joined the cast of A CLOCKWORK ORANGE at THE PARK THEATRE. The lovely GEORGIA KERR has just finished shooting an episode of DOCTORS in which she played the guest role of FI GAUNT. The episode was directed by DAN WILSON. The marvellous CLEO SYLVESTRE has just shot a short film (FIVE BY FIVE) for BBC3 alongside IDRIS ELBA no less. Can't wait to see it. SIMON HAINES has joined the West End cast of THE MOUSETRAP. He is playing CHRISTOPHER WREN in the long-running production. TOM SYMS is currently appearing in THE GAME'S AFOOT at Madame Tussauds. We're thrilled to announce that two clients are now Oscar-winners! Super-talented duo RICHARD MASON and SOPHIE ELLERBY are in STUTTERER, winner of the Oscar for Best Live Action Short Film. Our wonderful CHRIS LEVENS has won the BEST SUPPORTING MALE category in this year's OFF WEST END AWARDS for his performance in LOVE SONG OF THE ELECTRIC BEAR at THE HOPE THEATRE.